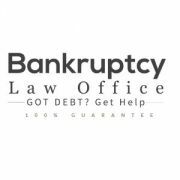 After becoming an attorney in Nevada in 2006 Erik narrowed his practice in 2009 focusing on personal bankruptcy. The recent economic and housing market collapse has hit southern Nevada extremely hard, and Erik has been there all along assisting his clients with resolving their debts, protecting their property, and most importantly, preserving their integrity. When you retain the Law Offices of Erik Severino, you not only retain the firm but more importantly you hire Erik personally. He will be your attorney through the entire process. No staff, no paralegals, you will deal directly with Erik. Call today to schedule your first appointment free.